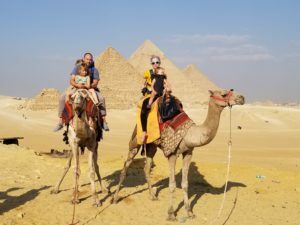 I didn’t ask for a laundry list of their destinations – if you want that, just check them out on Instagram – but a few places that came up were the Kasbah in Morocco, Thailand, Paris, Egypt. 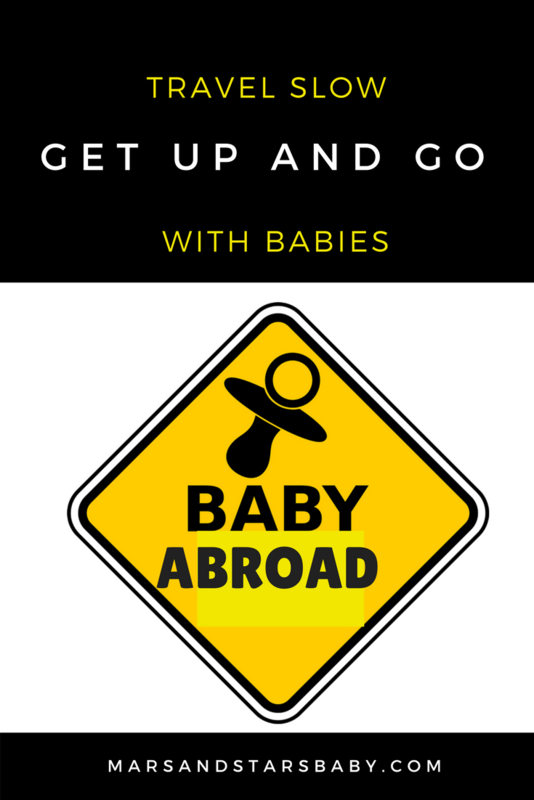 I was more interested in their perspective, their philosophy, and some practical advice about travel with babies. So here it goes. 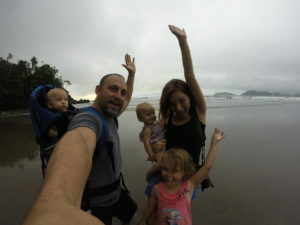 How do you structure your days to make travel enjoyable for each member of your family, and how have things changed after having kids? Another important piece of advice is to cooperate. “We pay attention to what’s going on with the kids, we made decisions together, we communicate, but with the day-to-day – I cooperate with her.” If Nikki thinks the kids need a change of pace or scenery, Jared is sure to let her “mother’s intuition” take the lead and make the final call. “I would never say ‘but I really want to go see this’ – I learned that it’s my job to say ‘so what do you think we should do?’. If I try to take control of everything or get stubborn about doing things a certain way, it’s just not going to work. It’s my responsibility to cooperate with her”. Well that’s wonderful advice any mom would appreciate. How do you prepare for your travels? In terms of accommodations, Jared gave me a huge list of non-negotiables. “We like to have wifi, and we like to have beds” Okay, that was a joke. The only other necessity he brought up was a small kitchenette so that it’s easier fix meals for the family. This family isn’t picky at all, they love Airbnb for its access to very unique places, and they’d happily give up hot water for a cool spot to stay. “We went to Morocco and stayed in Tangire and Kasbah which is the whole walled-in city. They don’t have a lot of modern conveniences there but it was great.” Personally, I’ve foregone hot water on some trips myself, but I wouldn’t say it was “happily”. And this family knows how to mix it up. “We’re pretty adventurous and stay in a wide range of places, but there might be times when we feel that we need something comfortable – like a nicer place that has everything including a big tub.” Yes, now we’re talking. Prior to travel, Nikki will check out government websites and do some research about any warnings to make herself aware. Although, Jared admits “I can’t remember the last place we talked ourselves out of going”. They’ve even visited Egypt shortly after a terrorist attack, which made them stop and think, but they went ahead and had an amazing time. They also warn parents to make themselves aware of any local diseases like Malaria. “Before the kids were one, we wouldn’t go anywhere with concerns about Malaria or Dengue fever. We pretty much traveled throughout Europe and North America then.” Well, that doesn’t sound like much of a sacrifice! 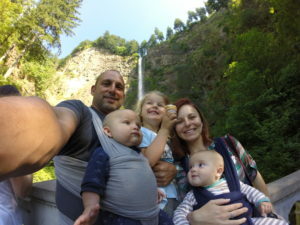 Did you know that travel is 82% better with baby-wearing? It’s true, look it up!